Sam pays Nikolas a visit to discuss who held her at gunpoint and her theory that Jake is the guy. Sam questions whether Helena had any involvement in Faison&apos;s escape. Nik admits that she did. Sam wonders if Helena planted Jake and Nik promises to let her know if he finds out anything. Carly continues to commiserate with Jake about Sonny not wanting anything to do with her. Carly mentions the article about Sam&apos;s attack, which upsets Jake. Jake admits that Sam thinks he&apos;s the guy, but Carly can&apos;t believe it. Sonny&apos;s surprised to see Julian in Pentonville. 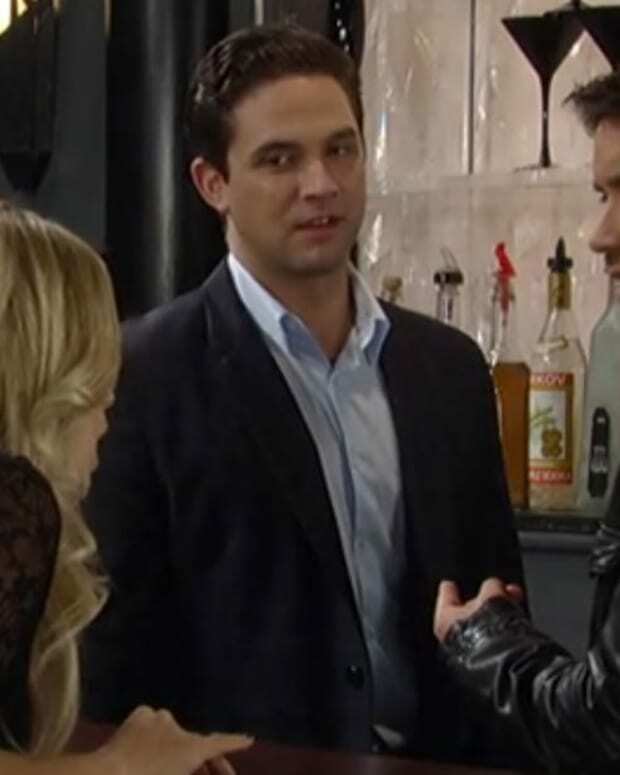 Julian says he confessed to killing Anthony, but Sonny doesn&apos;t believe it. Sonny insists on knowing why Julian confessed and if Johnny forced his hand. Michael tells Ned that the house he wants for the project is in Bill Eckert&apos;s name and asks if Ned can reach out to Jenny. Ned calls his ex-wife, who has no knowledge of the house. Michael wonders why the house wasn&apos;t in Bill&apos;s will. After getting a hold of Sly, who has no interest in the house, Michael decides to take a closer look at the house. Tracy overhears part of Fluke&apos;s angry message to Carlos and questions him. Fluke claims he&apos;s angry that Julian&apos;s in jail and won&apos;t get his day in court. Tracy doesn&apos;t believe that Julian killed Anthony, since Johnny tried to frame them for it. She worries about Johnny coming after them again. Luke assures her that Johnny will leave them alone. Tracy asks about Luke&apos;s brunch with Bobbie and why he got angry at the mention of Bill Eckert. Luke says Bill died in his place. Tracy brings up his sister Patricia and his parents, but Luke doesn&apos;t want to talk about his past and storms out. Lulu tells Maxie that Johnny is out and admits that it was nice to see him again. Lulu claims she wouldn&apos;t trade what she has with Dante. Maxie&apos;s happy that they&apos;ve finally found good guys. Dante and Nathan stop by Johnny&apos;s to warn him to stay away from Lulu. Johnny says he&apos;d never hurt Lulu and it&apos;s her decision. He bring up Maxie which upsets Nathan. Johnny agrees to back off. Johnny gets a visit from Fluke and is shocked at how much he looks like Luke. Fluke asks if Johnny made Julian confess, but Johnny denies it. Fluke warns that Julian won&apos;t be safe from him behind bars.